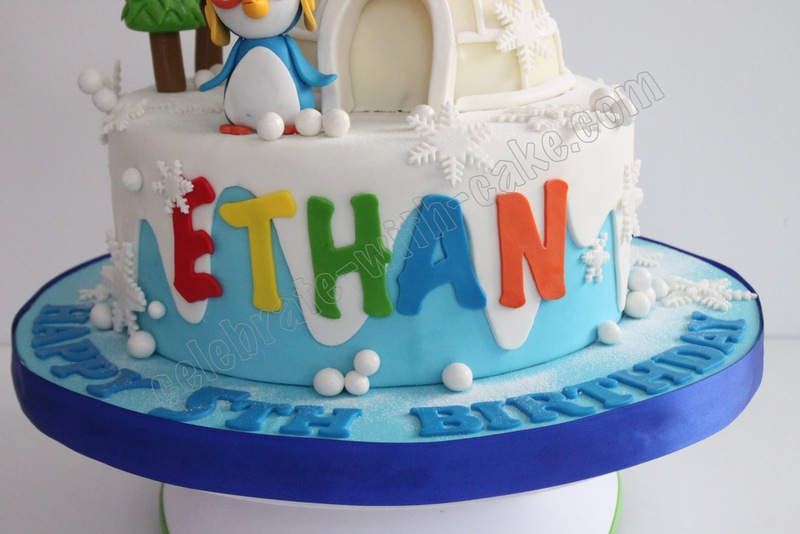 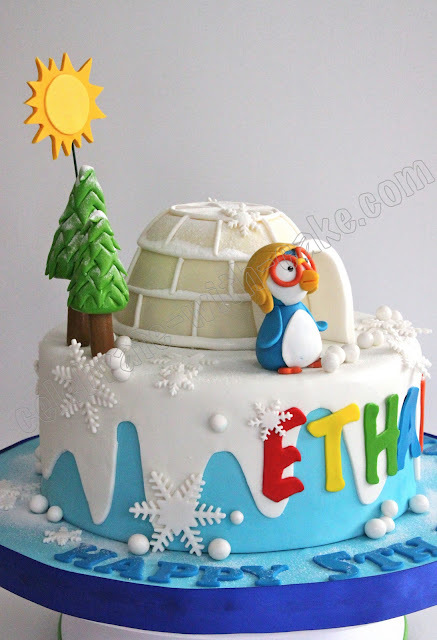 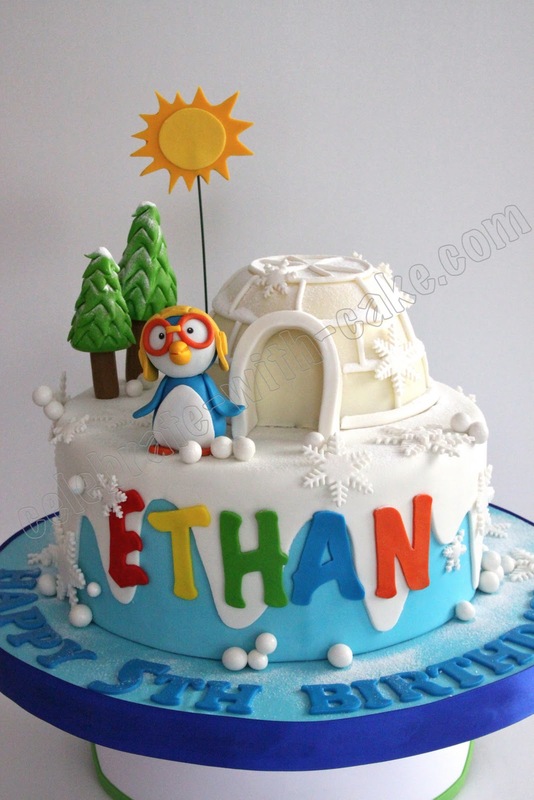 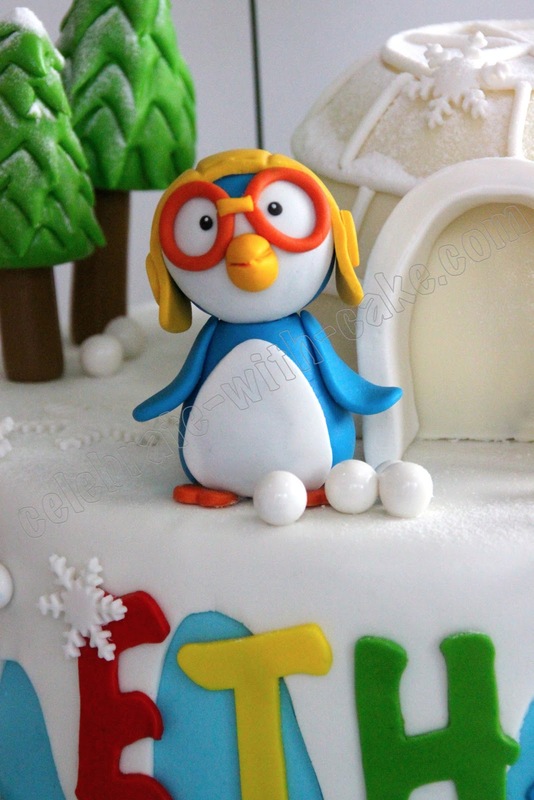 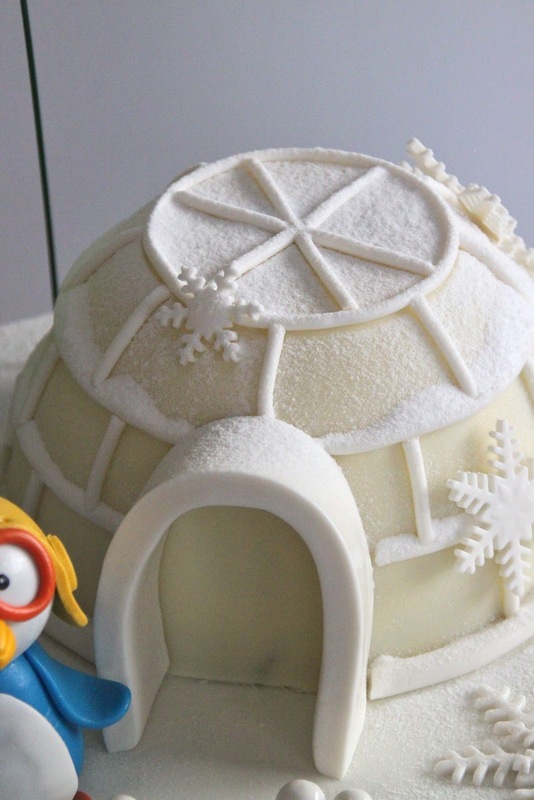 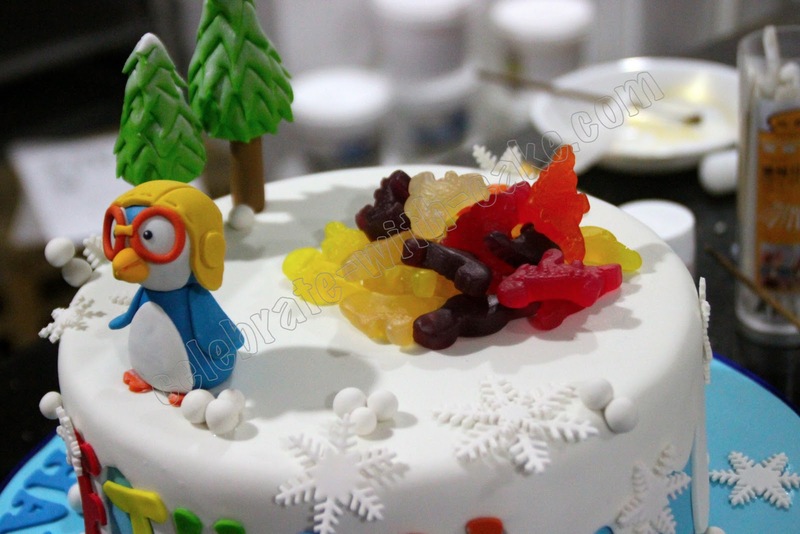 This was a pretty last minute order for a little boy who loves Pororo. His mom dropped us a mail a couple of days back and got us to make her boy a cake in that theme. 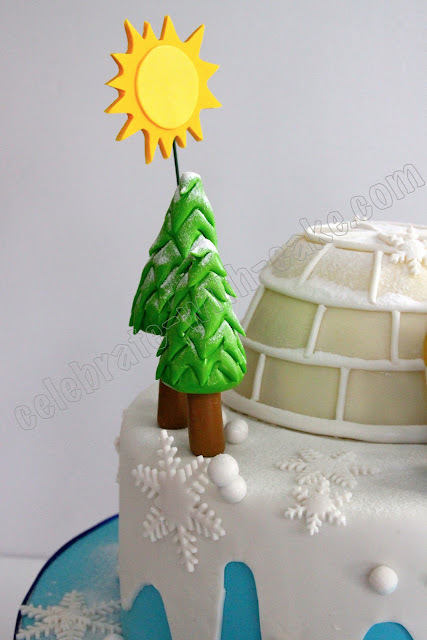 The moment we dusted the cake with icing sugar, we all took a step back and sighed, because, really, the cake just looked so snowy and christmasy, that we could almost feel the chill! 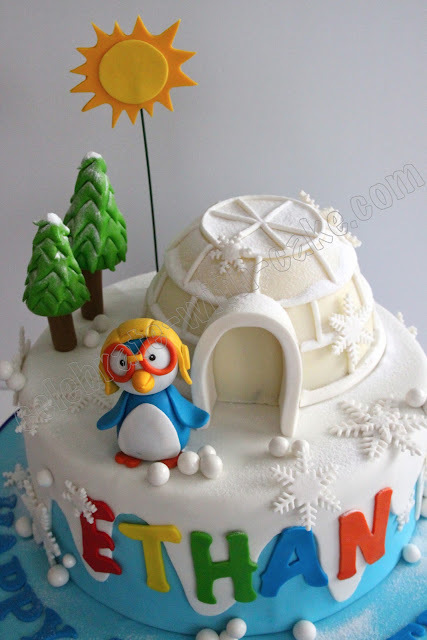 we especially loved the way the "snow" fell and collected between the grooves of the igloo piñata, so soft and fluffy looking, just like fresh snow!